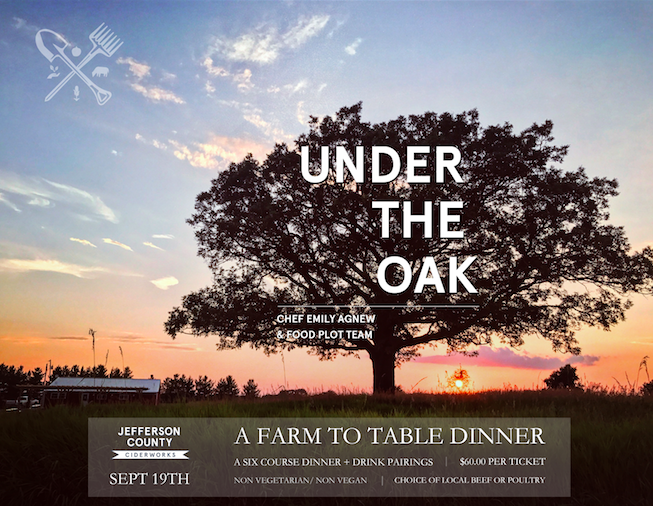 Join us at the Jefferson County Ciderworks Tap Room, under the oak, for our first Farm to Table dinner, by Chef Emily Agnew and our Food Plot team. 6 course meal featuring local produce and meats with drink pairings, please select poultry or beef for your main course. Welcome event and seating begins at 5:30, adults 21+ only for this event.